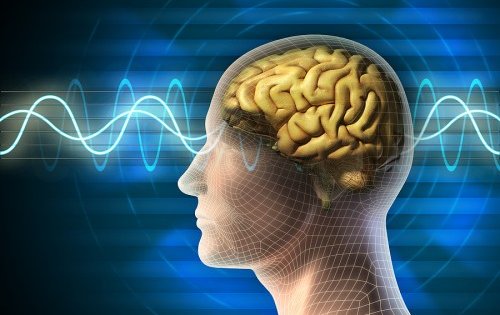 Brains waves have been monitored by science for almost 100 years. The first brain wave detected, the Alpha brain wave was discovered by Hans Berger in 1929 using an Electroencephalograph (EEG) machine. Since then four other brain waves have been identified, which has stirred much research about their nature and purpose. So far science publicly acknowledges brain waves are an indication of the different states of mind. Behind the scenes science is discovering they do much more! There are 5 known brain waves Alpha, Beta, Delta Theta and Gamma. These brain wave signals are at the Extremely Low Frequency (ELF) range of 1 Hz to 40 Hz. ELF’s have the ability to travel long distances penetrating land, sea and air. Ultra long distance sonar operates at ELF’s of 50 Hz because of this long distance capability. This raises a few questions, Why does our brain generate ELF’s? And why does it generate signals that have the ability to travel ultra long distances? 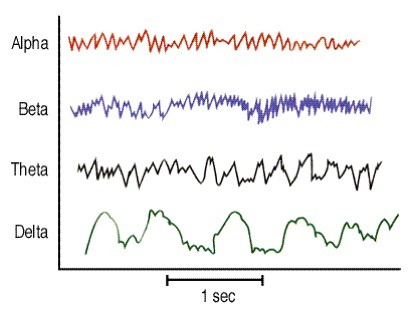 Of even greater interest, What is the true function of ELF brain waves? Science has shown creative minds generate more powerful Alpha waves than the general population. Intelligence generates stronger Gamma waves. Lateral thinking about brain waves reveals some profound “food for thought”, (no pun intended). Most people know computers communicate in 1’s and 0’s called Bits, known as a binary code in tech talk. This digital wave represents two positions, 1 when the signal is high and 0 when the signal is low. At any time you look at the signal it is either high or low, one or zero. Yet with this simple binary wave a massive amount of information can be transmitted almost instantly. All the computers in the world communicate internally and with each other using this simple binary wave. As you can see each wave is more complex, there are an infinite number of positions. Each brain wave is capable of transmitting far more information than the binary wave used by computers. If all the information, everything mankind knows can be transmitted and received on computers by a single simple wave, how much information is being transmitted by our 5 brain waves? Our brain waves are capable of transmitting long distances in all directions through all states of matter broadcasting continuously like a 24 hour ELF beacon. Countless experiments have shown we communicate with each other and all plants and animals. For example, (from the Secret Life of Plants, 1989) an experiment was conducted where a room was filled with plants and each plant was hooked up to an EEG machine. The plants generated a steady rhythmic signal, indicating a calm harmonious state. Then a man entered the room who immediately and violently ripped to shreds one of the plants. All the EEG’s went crazy showing each plant was reacting to the violent attack! The man then left the room and all the plants settled down returning to their previous rhythmic calm. What happened next astounded the researchers. They marched fifty people through the room one at a time and the EEG’s all remained calm and steady for every person except one, the man who destroyed the one plant. When he entered the room all the EEG’s went wild! Draw your own conclusions but the evidence is obvious. We transmit and receive thoughts and feelings through our brain waves. We are in constant communication with the the world around us. Have you ever been thinking of something and the person your with voices the same thoughts? Or you think of someone and they call or later that day you run into them? How about a gut feeling, intuition or an immediate connection with someone you just met? These are all accessing a sixth sense activated through our brain waves accessing an infinite intelligence. Most people write off this “sixth sense” as strange or weird and never give it another thought. Most do not realize that this ability is on the threshold of the next big advancement in human evolution. The fully aware unrestricted connection between our trillion dollar machines (our bodies) and infinite intelligence. This ability can be developed. 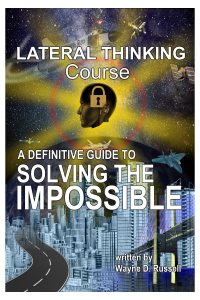 There are techniques you can practice to stretch your imagination and build mind power. The key is focus and effort.